Unique, non-invasive Capture technology enables organizations to build and deploy DLP policies faster and more accurately without guesswork or trial and error. Flexible file tagging helps organizations set up time-saving policies based on location and application types. Data Classification technology categorizes large amounts of data so only relevant files are examined and remediated. 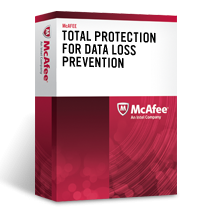 The only DLP solution that keeps a record of all data leaving the network egress points — giving you visibility into how your sensitive information is being used. It enables you to identify and fix existing broken business processes therefore reducing risk of breach in the future.